Specialist legal advice for social housing tenants living in poorly maintained homes on a no-win-no-fee basis. If you live in a council home or a property let by a social housing association, they have a duty to look after the property and maintain minimum standards. If those duties have been neglected, our solicitors can help you claim for any inconvenience and resulting health issues you have been caused. What is a ‘state of disrepair’? A ‘state of disrepair’ is the term generally used when a house or flat has not been maintained properly by the landlord. Disrepair can cause structural defects, lead to health issues, damage to your possessions and ultimately make your home unfit to live in. Our housing solicitors are here help anyone living in council and social housing that is facing this kind of issue with neglect and disrepair. Structural damage, mould and dampness can all make your property dangerous to live in. In theory none of these problems should ever occur, because your landlord has a responsibility to take care of them. If they fail to meet any of these responsibilities, we might be able to help you make a claim for compensation and get the repairs fixed for you. If the living condition of your home gets a lot worse because your social landlord hasn’t repaired structural issues or damage, you may need to take action. No one should have to put up with unhealthy and degrading living conditions. Disrepair in a rented property is unacceptable. Our housing solicitors are disrepair specialists. They can help you demand the necessary repairs from your landlord and even claim compensation for the damage and inconvenience caused. If your council or social property is in a poor condition and your landlord is not acting on it, contact our housing solicitors today. We’ll give you specialist advice and guidance, and support you through your disrepair claim. In many disrepair cases we see, the housing association or council has failed to take care of mould and damp. Mould and damp can cause serious health issues, especially in children, and should never be ignored. Our housing disrepair specialists will assess your situation and help you claim compensation for any resulting damage and health conditions. Council houses and flats have to meet the same health and safety standards as other rented properties. The council is responsible for repairing damage in your home, such as problems with your roof and gutters, leaks, broken doors and windows, broken bathroom fittings, damage to electrics, heating systems and internal gas and water pipes. If they don’t address these issues properly, you are entitled to claim compensation. Just like in council housing, if you are a social housing tenant your landlord is responsible for making sure that health and safety standards are met. Your housing association must repair problems in your home, and if they don’t then they can be held responsible for damage and inconvenience caused. We can help you claim if you are having problems concerning disrepair with your social housing association. Depending on the type of tenancy agreement, landlords need to follow specific protocols before they can legally evict you. If they haven’t finished these proceedings before the eviction, you could file a compensation claim for illegal eviction. Some landlords can be difficult to deal with, and unfortunately sometimes being difficult can turn into harassment. You have a right to feel safe and secure in your own home. Depending on your circumstances, you may be able to make a claim for landlord harassment. It can be intimidating to speak up against a social landlord or your local council, because of their size and authority. However, asking for safe living conditions is not unreasonable. As a tenant it is your right. Housing disrepair issues never simply go away. They often worsen over time, causing more harm. If you have suffered from any of these health issues as a direct result of the poor conditions in your home, we want to help you. You deserve to be happy and healthy in the place that you live, and we can make that happen by getting you the compensation you need. Unfortunately, we continue to see cases where social or council tenants have been harassed by their landlords. When a person or body of authority, such as a housing association, threatens you with eviction or is volatile towards you, it understandably causes a great deal of stress and upset. If they act this way when you request repairs or other support, you are entitled to make a claim. Persistent withdrawal of services that are reasonably required for the occupation of the premises. If this sounds like your situation, get in touch with our team for some expert advice on what to do next. Our housing solicitors have handled many cases where tenants have been treated unfairly and misinformed of their rights by their social landlord. 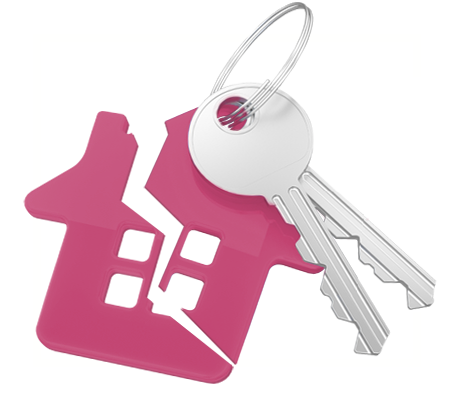 At this moment in time we can only take on social housing cases, although if you live in private rented accommodation then we may be able to pass your details on to a different company who do deal with private renting disrepair issues. Our housing solicitors do more than just help you claim compensation for disrepair. They can guide and support you when you have suffered, and get you the justice you deserve.